What might have been. What should have been.  Middle Park were left to rue a series of missed second half chances, as Ashburton equalised in the last five minutes via an unfortunate own goal. Ashburton has been a happy hunting ground for the Parkers, and the game was an opportunity to add three points to improving performances. In hurricane conditions, the yellow men played the first half with the wind. A scrappy first half – the Parkers struggled to put more than three passes together, and the home team failed to threaten in front of goal. Baby faced assassin Blane opening the scoring on 35 minutes. Presented with a clear opening, his poor shot was fumbled by the ‘keeper, and he was on hand to follow up a rebound and smash the ball home. 0-1 at half time – a score which the Parkers didn’t really deserve. The yellow men were far more assured in the second half; the defence was excellent, with all players working hard together. With Ashburton getting little change from Hadrian’s Wall (Kev and Jamie), chances opened up at the other end. Following good breaks, Blane, Gibbo and Wardy all fluffed scoring opportunities, even though it looked like the Parkers would hang on for a point. Yellow hearts were broken however on 87 minutes. A near post corner was lost in the wind and bright sun by skipper Cosentino, and the fall flew off his head, past a helpless Marshall. It was a bitter pill to swallow for all, as the Parkers second half performance had merited a comprehensive victory.